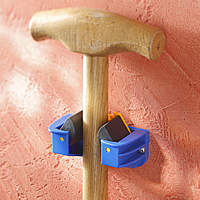 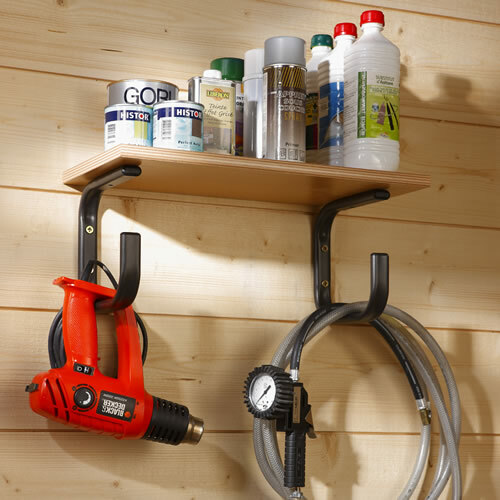 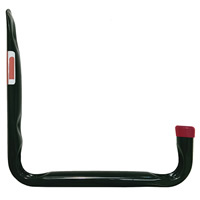 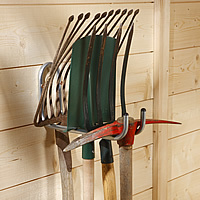 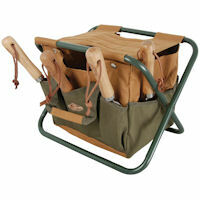 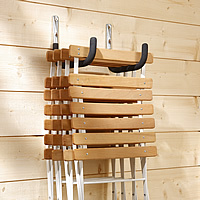 Our new pair of quality storage hooks are a must have for bringing organisation to any messy garage, shed or workshop. 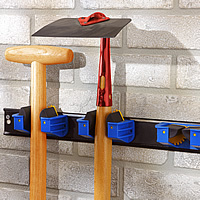 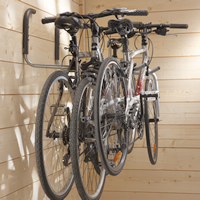 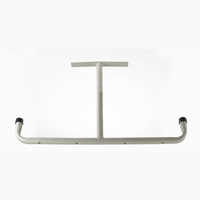 Use as a pair and take advantage of the flat top to support your own shelf whilst hanging power-tools, backpacks, bike helmets etc. 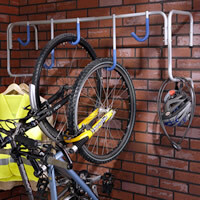 from the hooks below (as shown) or simply use individually as a double storage hooks.